Rev. 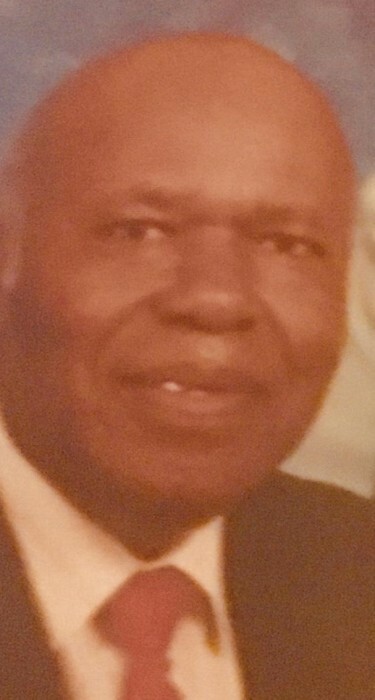 Harry F Reynolds of Benton Harbor Mi departed this life at his home while surrounded by his family, on the evening of January 22, 2019. Services will be Tuesday, January 29 with family hour at 11:00 am, service at 12 noon at Mt. Zion Baptist Church, 831 McGuigan, Benton Harbor. Rev Reynolds was born in Opelika, Alabama on February 20, 1924 to the union of Tommie Reynolds and Lucinda Jones. He was educated in Lee County Alabama where he completed the 11th grade. He later went on to obtain his GED through the Benton Harbor Area School System. In 1946, Rev Reynolds joined in holy matrimony with the love of his life, Minnie L, and that same year they moved to Benton Harbor and joined Progressive Missionary Baptist Church under the leadership of Rev. Daniel E. Cook. He later united with the Mt. Zion Baptist Church under the leadership of the late John E Watson where he remained faithful until his passing. In 1980, Rev Reynolds entered the ministry and became an ordained minister in 1981. He attended classes at Andrews University and earned an Associate Degree from Central Baptist Theological Seminary in South Bend Indiana. In January of 1993, Rev Reynolds became Pastor of Mt. Zion Missionary Baptist Church. He retired this position in 2003 and later was elected Pastor Emeritus and held this position until his passing. Rev Reynolds served his church and the community in several capacities, including Chaplain of the Benton Harbor Senior Citizen Center, and Dean of Sunday School and BTU Congress of the general Baptist state convention and treasurer of the Southwest Minister Alliance. He also served as a UAW state delegate. He was employed by Simoniz Co. and retired as manager from Polymar Systems in Benton Harbor, Mi. Rev. Reynolds leave to cherish his memory: two daughters: Minnie Reynolds Sims and Diana (Isiah) Newson, both of Benton Harbor, one sister-law Annabelle Reynolds and 8 grandchildren, 8 great grandchildren, a very special cousin, Helen Parker and a host of nephews and nieces who he loved dearly and who loved him equally. He was a special friend to many. He was preceded in death by his wife, Minnie L Reynolds, Sons Harry and Jerry, 7 brothers: Oscar, Ceroy, Lewelyn, Robert, Lemmie, Willie B., Tommie, and Clemmie and one sister, Emma Lou Smith.